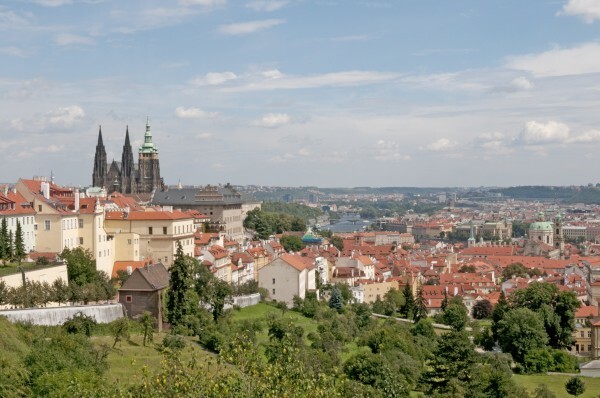 The Czech Republic is often called the country in the heart of Europe. Its location at the border between Eastern and Western cultures has made it not just a crossroads of trade routes but also of spiritual history. Coming from the east, from Byzantine Thessaloniki, the brothers Constantine (who later took the monastic name of Cyril) and Methodius arrived in the spring of 863 in today’s Czech Republic, bringing Christian doctrine here at the request of Prince Rostislav of Great Moravia. Their mission was successful also because they began to serve mass in the new locally comprehensible language of Old Church Slavonic, instead of the usual Latin, and they created the new Glagolitic script. 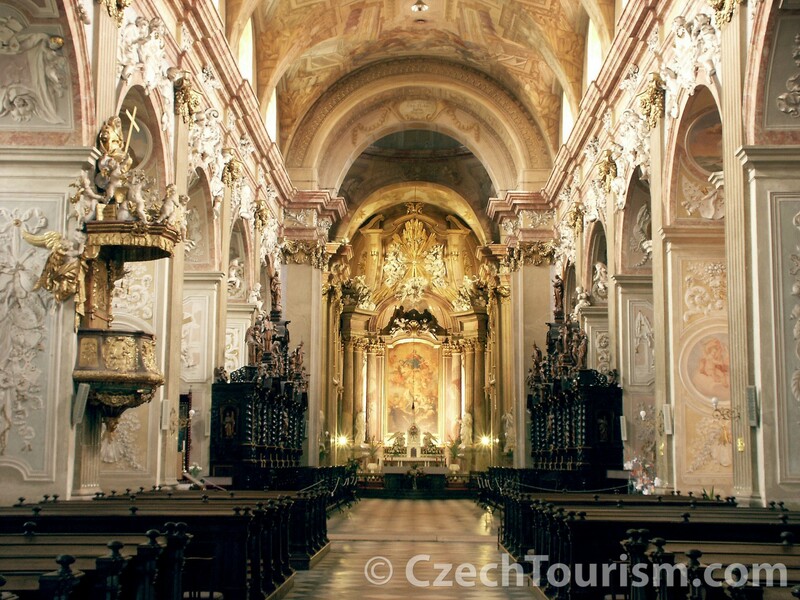 This small town in the southeast of Moravia is the most important place of pilgrimage in the Czech Republic. It is said that in the 9th and 10th centuries it was the capital of the once important Slavic state of Great Moravia. 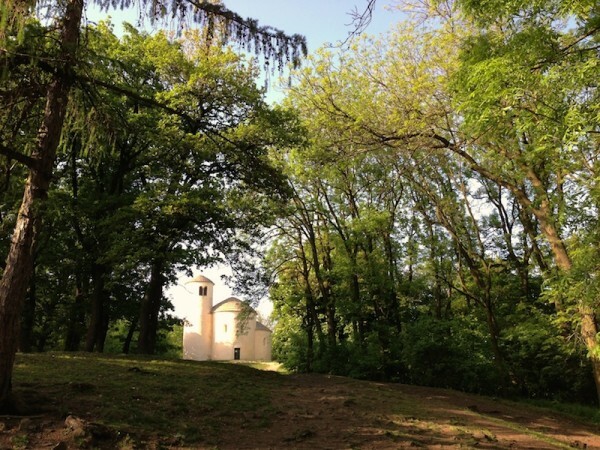 It is probably the burial site of one of the missionaries – Archbishop Methodius. In 1985, Pope John Paul II gave the basilica in Velehrad a “Golden Rose” – a precious gift which can be boasted only by Lourdes in France, Guadalupe in Mexico, and Częstochowa in Poland. 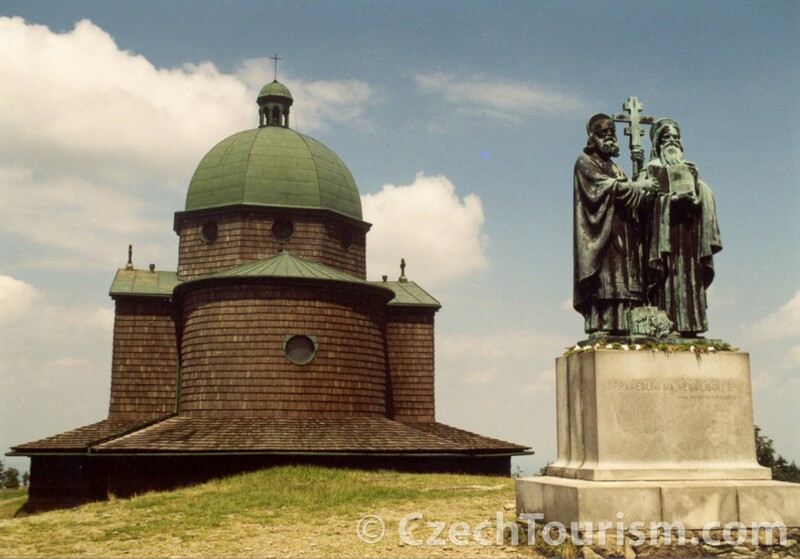 The major Cyril and Methodius pilgrimage at Velehrad takes place every year on July 5, the name day of both saints. The Basilica of the Assumption of the Virgin Mary (a Basilica minor, completed in 1748), a shrine with a statue of the Virgin Mary, has made Hostýn the most visited pilgrimage site in Moravia. Noteworthy is its water chapel with a spring of miraculous water and an artistically valuable Stations of the Cross, designed by the renowned Art Nouveau architect Dušan Jurkovič. Hostýn is connected to Velehrad via a pilgrimage route, along which you can visit other religious monuments in the region. In the village of Modrá, near Uherské Hradiště, foundations were discovered of probably the first Christian church in the Czech lands, dating to the late 8th or early 9th century. The open-air museum is a lively place, offering educational performances, programmes, experiments with melting metals, pottery making and farm products. Archaeological research is being carried out continuously. One of the largest castle complexes in the world, it was the seat of Bohemian kings, Roman emperors, and today houses the Office of the Czech President. A UNESCO World Heritage site, it is dominated by the Cathedral of Sts. Vitus, Wenceslas and Adalbert, the patrons of the Czech lands. Founded as a rotunda in the mid 10th century, a cathedral began to be built on the site in 1344 during the reign of Emperor Charles IV, and it was completed in 1929. 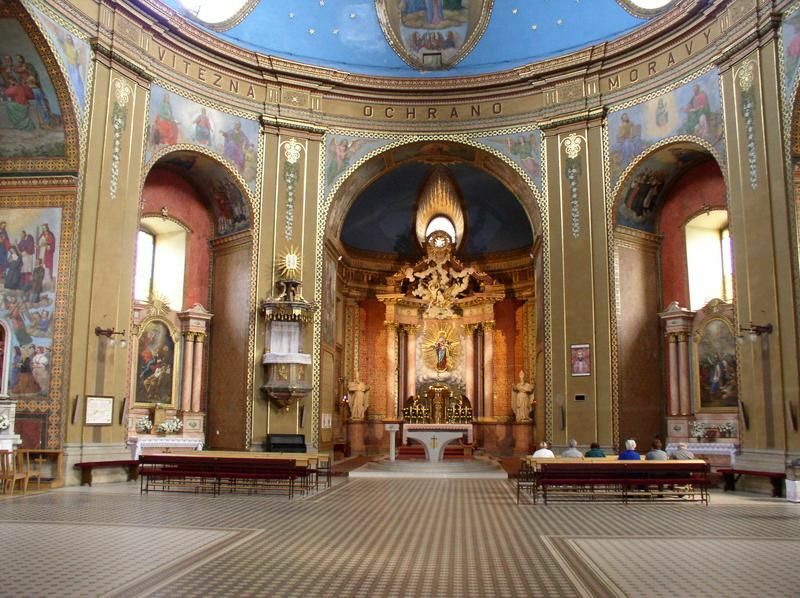 Also worth visiting is the St. George Monastery with the nearby Church of All Saints. In the Chapel of the Holy Rood in the second courtyard is an exhibition of the St. Vitus Cathedral Treasury. This is the oldest monastery in the Czech Republic, founded in 993 by Prince Boleslav II along with the second bishop of Prague, Adalbert. From the old Romanesque church building, remains of the crypt beneath Church of St. Margaret are preserved. Gothic modifications to the monastery and the local church disappeared during the Baroque reconstruction by Kryštof and Kilián Dientzenhofer in the early 18th century. In recent years, the whole complex has been undergoing restoration, including the gardens. Taste the Břevnovský Benedict beer from the monastery brewery. Its history dates to the 13th century. You will find the brewery in the former Baroque stables. The Rotunda of St. Martin at Vyšehrad, built in the 11th century, is the oldest preserved example of early Christian architecture in Prague. With a diameter of 6.5 metres it is also the largest rotunda in Prague. Stará Boleslav went down in history as the location of the murder of the Bohemian Prince Wenceslas, who is regarded as a symbol of Czech statehood and the country’s most important patron. The saint’s murder is commemorated at the St. Wenceslas complex, which consists of the Church of St. Wenceslas (with the Crypt of Sts. Cosmas and Damian) and the Church of St. Clement. The centrally located Church of the Assumption of the Virgin Mary in Stará Boleslav is associated with the palladium of the Czech lands: a Marian icon which, according to legend, was given by St. Methodius to Princess Ludmila at baptism and was part of the property of the murdered Prince Wenceslas. Říp Mountain is the symbol of Czech national history. 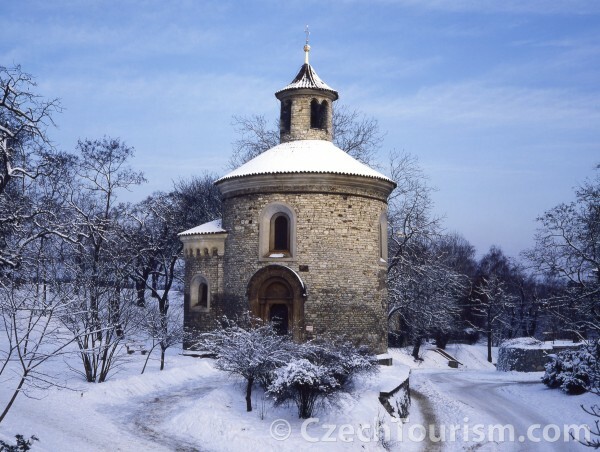 At its apex is probably the most famous Romanesque monument in the Czech lands, the Rotunda of St. George. Říp is associated with the legend of the arrival of the Czechs’ ancestors in the country. It is said that every Czech should climb this mountain at least once in their life.